The second smallest Canary Island La Gomera offers plenty to discover for its visitors – diverse landscapes and unique vegetation. Over the nearly circular island of 370 km² size, are spreades wide ravines, scenic plateaus and deep valley lined with green terrace fields and the Garajonay National Park with its huge laurel forest. From the centre of the island, in either direction there are almost always only 25 km to the coast. However, each side of the island has its very own character due to different climatic conditions. While the north shines in evergreen vegetation thanks to the humid climate, the south, the warmest and sunniest region, is of sparse vegetation. The West, including the popular holiday place of Valle Gran Rey, which extends over a wide valley lined with palm trees down to the sea, has, it is said, the most pleasant climate. 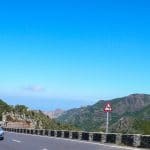 Valle Gran Rey is one of the most popular holiday destinations on the island of La Gomera, but it is far away from mass tourism. The former hippie paradise has maintained some of its colorful character. The valley of the big king is best known for the magnificent sunsets that can be seen from the beaches. The most important places are scattered over the island. 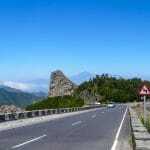 In the North there are the larger places of Vallehermoso, Agulo and Hermigua. On the edge of the Garajonay National Park these places are idyllically set amongst the evergreen barrancos surrounded by fertile terrace fields and green valley flanks. In the East is the island’s capital San Sebastian de la Gomera, where even Christopher Columbus is said to have stopped during his journeys, and in the sunny south there is the popular holiday place of Playa Santiago . The island of La Gomera offers excellent conditions for great holidays. Here is something for every taste. Whether you prefer holidays in a hotel with pool near the beach or if you want to stay individually in a holiday house or an apartment or studio – on La Gomera everyone finds their preferred holiday accomodation. La Gomera also offers a lot to discover. 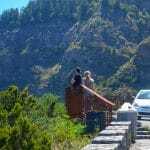 A well-developed network of hiking trails covers almost the entire island and well built roads lead from any place anywhere no matter to which side of the island, ideal for relaxed Rental Car tours. Each of the seven Canary Islands has its very own character. The Eastern islands are Fuerteventura and Lanzarote. Fuerteventura is a typical beach island, with many beautiful, wide and sandy beaches. Fuerteventura is particularly famous as a destination for beach lovers and water sports enthusiasts. All the islands are of volcanic origin but Lanzarote is the most characterized by volcanism. Wide lava landscapes, tinted in different shades of red and brown, cover the inside of the island, whereas the coasts shine in white sand beaches. Lanzarote is an ideal holiday island for outdoor sports enthusiasts and beach lovers. The two islands of La Palma and El Hierro limit the Canary archipelago in the West. In Tenerife for example the North and Northwest offer vast mountains that make the heart of hikers beat faster, while the South comes up with great beaches with perfect conditions for great vacation by the sea. Towering over all, and the most important feature of Tenerife, is of course the volcano Teide, Spain’s highest mountain. The easternmost populous island Gran Canaria has been a popular destination for travelers for a long time.